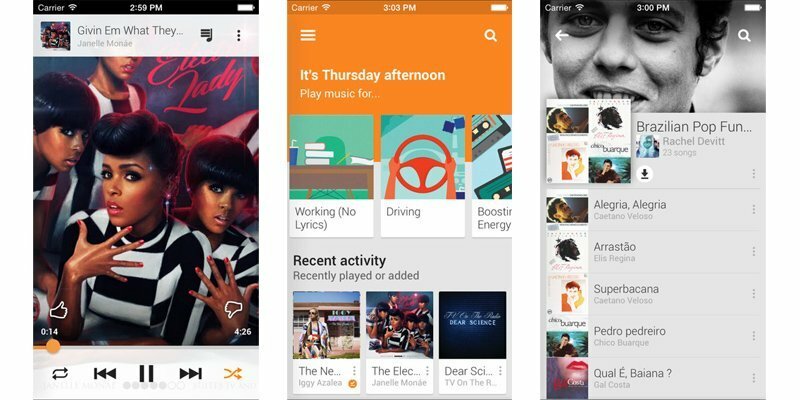 Google has pushed a new update for Play Music app on Android and iOS. First and foremost change you’ll notice is the shift to Material Design, which is nothing unexpected, given we’re seeing the same being done on other Google apps as well. Google’s acquisition of Songza has beared fruits in this update since the app now features contextual music stations. These stations play music based on your mood or activity. So say you’re in a happy mood, a particular station will play songs that complement your mood. These stations have been hand made by a team of experts which not only include engineers, but DJs, musicians, music critics, and ethnomusicologists. These music stations can be downloaded for offline playing and can be edited by users. You can see what song is next, reorder the playlist and add or remove songs from the list. These radio stations are available in the US and Canada only. The Listen Now page has also been revamped and now shows cards for your recently played music, new releases you might be interested in, and radio stations based on what you like to listen to. The feature is available in 45 countries. The new Play Music is out for Android, iOS and the web.